* Here's a curiosity: an unknown artist (the signature appears to be cropped off - could it be Walter Richards?) 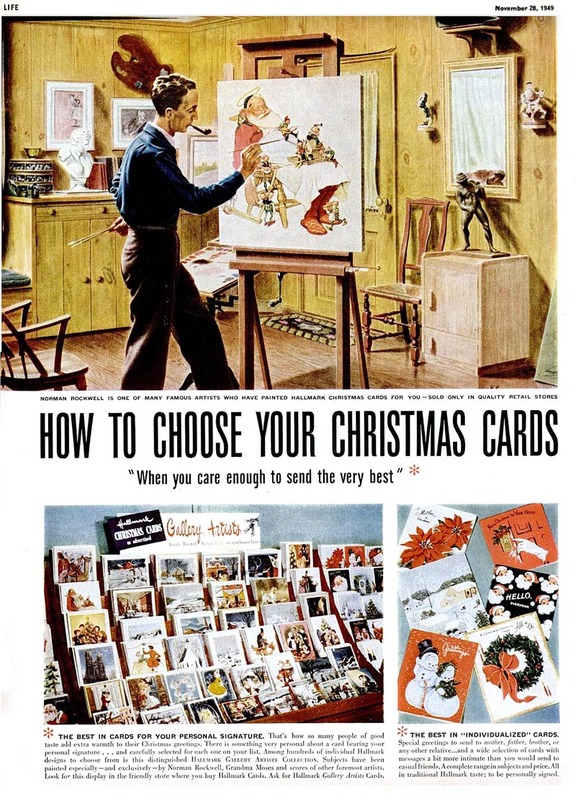 paints Norman Rockwell painting Santa Claus for a 1949 Hallmark Cards ad. 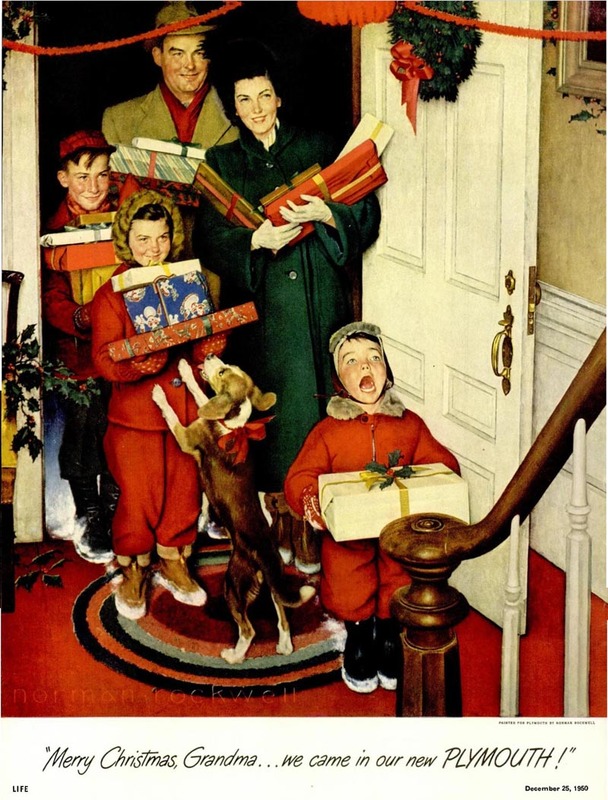 The text below the illustration reads, "Norman Rockwell is one of many famous artists who have painted Hallmark Christmas cards for you." 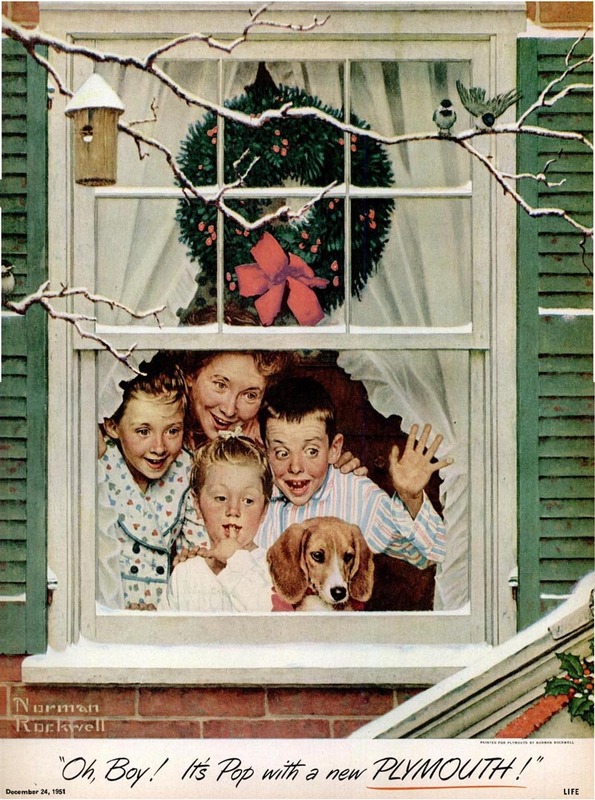 * A special show celebrating the 200th anniversary of Charles Dickens’ birth and featuring original Rockwell artworks inspired by the literary giant’s contributions is on right now at the Norman Rockwell Museum! Rokwell lo merece. Y la edición de su trabajo navideño es oportuna. Pero a la vez, este 'happy world' en los tiempos que corren parece un sarcasmo, más brutal cuanto mayor es el arte del ilustrador.